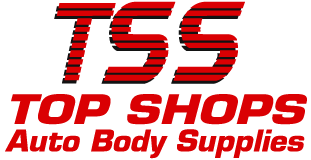 Located in Barrie, Top Shops Auto Body Supplies is your one-stop shop for a wide selection of automotive supplies and accessories. Come and see us today for auto body panels and fenders, spray equipment, PPG automotive finishes and more. We're proud to work with top suppliers like PPG, ProForm and Presta Products, among others. We have answers. For more information on our diverse product selection or for general inquiries, please call us or use our convenient online form. We'll be sure to get back to you shortly. Thank you for your interest in Top Shops Auto Body Supplies. We're located at 159 Anne Street South at the southeast corner of Anne Street South and Jacobs Terrace.